Boeing is facing a spiraling crisis that has shown no signs of ending, after two crashes of its best-selling new planes — the 737 MAX — and the damaging revelations that have have been battering the company ever since. Why it matters: Boeing is the world's largest aerospace company, and its fortunes can ricochet throughout the economy. And with the 737 MAX, it's in uncharted territory in modern aviation history. The two accidents — the Lion Air crash near Jakarta on Oct. 29 and the Ethiopian Airlines crash outside Addis Ababa on March 10 — killed 346 people. The last aircraft to be hit with crashes soon after introduction was the McDonnell Douglas DC-10 in the 1970s, says Richard Aboulafia, an aviation analyst at the Teal Group. The 737 MAX's troubles, though, are more solvable than that one, since it's a software issue rather than a design problem, he says. The big picture: The investigations are focusing on the possibility that erroneous data from an angle of attack sensor located on the side of the plane's nose triggered a software system, known as MCAS, that's designed to prevent the aircraft from stalling, or losing lift. In each crash, preliminary findings show that the false indication that the nose was pointed skyward caused the computer to intervene, and the planes lurched into a nosedive, forcing pilots to struggle to regain control. The FAA may have been unaware of the full capabilities of the MCAS system. 737 MAX pilots at many airlines were not explicitly told that MCAS exists or how to disable it in the event of a malfunction until after the Lion Air crash. Airlines could have paid more to rely on two angle of attack sensors for redundancy — an ill-conceived, a la carte approach to aviation safety that mirrors the way airlines sell seats with more leg room. Many airlines trained their pilots using only tablet-based courses, with no time in full motion flight simulators required. 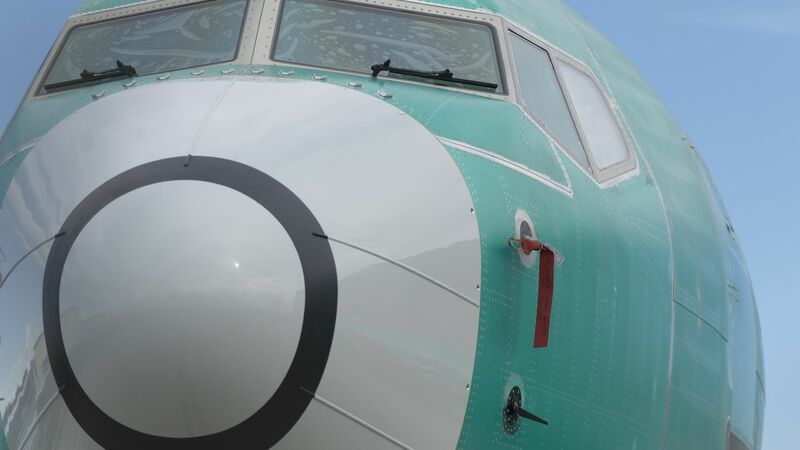 The FAA allowed Boeing employees to self-certify the safety of many components of the 737 MAX. On Thursday, it was revealed that Boeing has found another software problem in the 737 MAX, this one reportedly concerning the operation of flaps and other wing control surfaces. This, too, will need to be fixed. The intrigue: Any chance that the 737 MAX had to return to the skies quickly was dealt another blow on Thursday, when Ethiopian aviation authorities revealed that the Ethiopian Airlines pilots implemented Boeing's checklist to manually disable the MCAS software system — yet the plane still plummeted from the sky at such a high speed that it carved a crater into the Earth. On Friday, Boeing announced it would temporarily curb its 737 MAX production rate to devote more resources to fixing the software. The backstory: The 737 MAX crisis is a big deal for another reason, too: pilots say the way Boeing handled the introduction of the software system represents a betrayal of the company's core values. Boeing has long been the aviation company that keeps pilots fully in control of its planes (aside from the typical autopilot), leading to the saying among pilots of Boeing-centric airlines, such as Southwest, that, "If it ain't Boeing, I ain't going." Meanwhile, the company's main competitor, Airbus, churned out planes like the A320, which features a "fly-by-wire" system controlled by a joystick in the flight deck, with software programs designed to prevent the pilot from maneuvering unsafely. Now, some pilots feel betrayed. They say that by installing MCAS and not initially briefing pilots on it, Boeing threw its pilot-friendly culture out the window. "This was sort of the back door to a hybrid fly-by-wire control system, and a lot of pilots view it that way,” Aboulafia says. Boeing acknowledged the backlash from pilots this week when its CEO, Dennis Muilenburg, took responsibility for the crashes in a statement. "As pilots have told us, erroneous activation of the MCAS function can add to what is already a high workload environment. It's our responsibility to eliminate this risk. We own it and we know how to do it," Muilenburg said. The bottom line: Boeing will lose money off of the crashes and the grounding of the fleet — somewhere on the order of $1 to $2 billion, according to Aboulafia. And the cost of its damaged reputation? That's impossible to measure.